Which PVR And Set-Top Box Brand To Buy In 2019 - Which? Unique Which? reliability data can help you choose a PVR or set-top box brand that lasts, as we survey owners of BT, Humax, Manhattan, Panasonic, Sky, TalkTalk and Virgin Media PVRs and set-top boxes to find out which develop the fewest faults over time. Although there is some crossover between PVRs and set-top boxes, we get separate reliability data for each because they can encounter unique problems. That said, the prevalent fault with both PVRs and set-top boxes was a tendency for the picture to lock up and freeze on a screen. This issue accounted for almost 50% of all the faults in PVRs, and a huge 57% of all the set-top box faults. Recording a series of your favourite show onto a PVR only to have it break down just as you reach the finale would be crushing, and losing access to all your TV channels by virtue of a faulty set-top box would be no less aggravating. That’s why each year we ask nearly 10,000 Which? members to tell us whether they are happy, or have experienced problems, with their PVRs and set-top boxes, in our unique reliability survey. Our survey data takes into account the reported fault rates, how severe those faults are and how quickly into the devices’ lifespan they occurred. In our latest analysis we've looked at the performance of the biggest PVR and set-top box manufacturers – including Humax, Manhattan, Panasonic, Samsung, Sky and Virgin Media – and have calculated a reliability rating for each one, so you know which brands to choose – and which to avoid. Which PVR and set-top box brands stay fault free for longest? As you can see, there's a big difference between the most and least reliable PVR and set-top box brands, and the satisfaction scores reported by customers. The table below summarises this year’s reliability results. Brands are ranked by their customer score, which relates to whether their customers would recommend them. The more stars for reliability, the fewer problems reported. The above data is based on a survey conducted on 4,785 Which? members June-July 2018. Whether you’re planning on buying a set-top box or a PVR, the most common issue is the same. Both devices have a tendency to freeze up and lock on a certain screen. Sometimes a full reset of the device will fix the issue, but in some cases the machine can be beyond repair. This problem accounted for 57% of all the set-top box faults and 48% of all the problems affecting PVRs. The recording and playback of shows was a common issue for PVRs - 10% of the faults affected these most vital functions. For set-top boxes, problems with the remote were the second-most-common fault, with 7% of issues being with the device’s controller. As you can see from the tables above, there’s a chasm between the most and least reliable brands. When one brand stays 97% healthy after just one year, while for another the figure is just 83%, the disparity is obvious. Similarly, at the five-year mark you could be lumped with a brand with just a 59% no-fault rate versus one with 88%. Interestingly, one of our most reliable brands is also one of the lowest-scoring in our tests, on average. That's just one more factor to add to the balancing act, but our expert advice will make sure you make the right decision. Which PVR and set-top box brand stays fault free for longest? The graph above shows how the brand that stays fault-free for the longest compares with the worst brand and the overall average. Which? members can see how brands compare for faults over a five-year period in the table below. The first table shows PVR brands and the second shows set-top box brands. Results based on feedback from more than 4,785 PVR and set-top box owners, surveyed in June/July 2018. Results based on feedback from more than 4,085 PVR and set-top box owners, surveyed in June/July 2018. Minor - A fault that doesn’t affect the product’s performance significantly, or a fault that only occurs occasionally with minimal impact. This issue may be irritating or annoying, but it isn’t frequently problematic, and you can easily work around it. 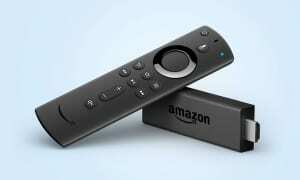 For example, if a few buttons on the remote control become unresponsive. Major - A fault that has a noticeable effect on the product’s performance. This fault affects how you use the product and can be problematic. For example, if sound intermittently drops out at random when you're watching a recording. Catastrophic - A fault that renders the product unusable, with the fault needing to be repaired or parts replaced before it can be used again. For example, the electronic programme guide failing to pick up any channels, thus rendering the product useless. Table notes Average test score based on results of models tested in the past three years (as of 16 October 2018) that are still available. The customer score and brand reliability rating are based on a Which? member survey conducted in July 2018 of 4,785 PVR and set-top box owners. The customer score is based on whether members would recommend the brand to a friend, and reliability is based on members’ experience of that brand. Table last updated 16 October 2018. Humax is the most popular PVR brand, but how reliable are these devices when compared with the boxes from Panasonic and those that come with Sky and Virgin Media subscriptions? From broken remotes to the entire device locking-up and becoming unusable, there are many faults that can affect PVRs. See which ones Humax PVRs are most likely to suffer from. Humax may be popular, but are its customers happy with their PVRs? 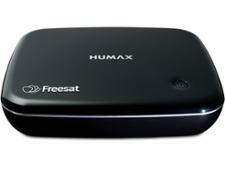 Our survey asks whether people like their device and if they would recommend a Humax PVR to a friend. Along with Sky, Virgin Media is one of the most popular pay-TV services in the UK. Our in-depth research reveals whether its PVRs and set-top boxes are more reliable than its rivals. Find out which faults are the most common on Virgin Media PVRs. Whether someone would recommend Virgin to a friend isn’t all about the PVR, but our survey reveals whether people are happy with the device that gives them access to all those channels. As with similar services, such as Virgin Media and Sky, you can't just pop down to the shops and pick up a BT TV PVR off the shelf, but does the reliability of its YouView boxes mean you should steer clear? See which faults and issues are most likely to affect a BT YouView box and how severe they are. As well as reliability, our survey tracks how happy people are with their devices and how likely they are to recommend one to a friend. As with most subscription TV services, the real cost doesn't lie with the box itself, but within the contract you sign up to. TalkTalk has had problems with data breaches in the past, but how about the reliability on its PVRs? As well as reliability, or survey tracks how happy people are with their devices and how likely they are to recommend one to a friend. Our survey doesn’t just record the volume of faults, it also identifies what areas of the device those faults affect and how severe they are. Sky is a household name, and a Sky box is a fixture of many living rooms. But with PVRs and set-top boxes having typically low reliability, is a Sky box the most reliable choice, or would a Virgin Media box stay fault-free for longer? Unlike a Humax PVR or Manhattan set-top box, you’re not just buying a device with Sky, you’re signing up for its TV package and, quite possibly, its broadband and phone services, too. Our survey asks people how happy they are with this service. Common faults with PVRs include the box locking-up, problems with the remote and issues with recording. Our survey finds out which ones are most likely to affect Sky boxes. 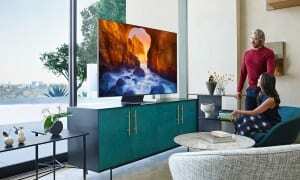 Panasonic is one of the biggest TV manufacturers, and its PVRs are popular, too, but are they reliable? 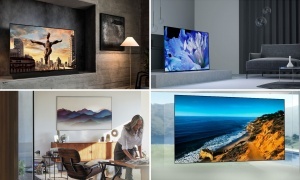 See how they stack up against boxes from Humax, Samsung and Sony. Our in-depth survey gives an overall reliability rating, but we also break down what percentage of faults occur during each year of ownership from one to seven years. 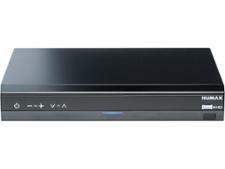 We also determine how happy owners are with their Panasonic PVR and how likely they are to recommend one to a friend. 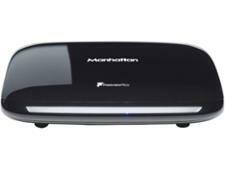 Manhattan is one of the biggest set-top box brands. 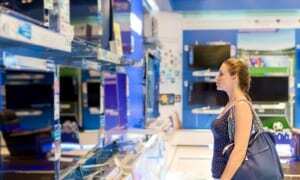 Its range of low-cost devices are popular, but are they reliable? Our survey of more than 4,500 PVR and set-top box owners reveals the answer. From broken remotes to the devices themselves freezing, there are many faults that can affect set-top boxes. See which ones Manhattan set-top boxes are most likely to suffer from. You’ll also get access to our in-depth reviews, so you can see whether Manhattan’s popularity is well earned, or if there are better options available. Which? has a wealth of information on Britain's favourite brands. Every year we ask Which? members to tell us about the technology products they own - from how likely they would be to recommend a brand, to how reliable the products are once they get them home. This year, nearly 10,000 Which? members told us about more than 40,000 devices. We calculate a brand's reliability and its customer score based on the results of our annual survey. Our reliability surveys, combined with our extensive lab tests, mean we can recommend the best PVRs and set-top boxes you should buy. This data is crucial for our testing, too. If a brand falls far below the category average, we take away the manufacturer’s Best Buy awards and won’t recommend any of its products unless a marked improvement in reliability is shown.